What are the best books to help you build a great piano playing technique? There are many books about piano technique "out there". These are the piano books I have found give great, measurable results and that are very effective for beginners. Here is a step by step plan with suitable materials to help you build a great piano playing technique, tailored especially for beginner (adult) pianists. Start using Edna Mae Burnams A Dozen a Day Preparatory Book, Technical Exercises for Piano (not Mini if you are an adult) as soon as you have learned how to read both hands together in a five finger position. Keep working through Preparatory, Book 1 and Book 2 for a great foundation of basic movements in piano playing. Yes, I know they are for kids- put another cover if you like- but these piano exercises are great! Start also with scale practice- you don’t need anything fancy at this stage, it is better to learn scales and chords by heart anyway. Here is a free lesson where you can learn to play 10 major and minor scales by ear: Piano scales the easy way. During book 1 (Green) of “A Dozen a Day”, add on Frances Clarks' and Louise Goss's Piano Etudes Book 1 for Musical Fingers. It comes with valuable performance instructions and focuses on musical playing. Time for Hanon: "The Virtuoso Pianist" (Just the title makes you feel great- doesn’t it?) And this is an investment for many years, so get a great edition, even put plastic on it! Focus on the first 10-20 exercises first. Read more how to practice Hanon's piano exercises here. This is also the time to get a good quality scale book, (unless you are OK with the tiny note scales in Hanon). Alfred’s The Complete Book of Scales, Chords, Arpeggios and Cadences is a good one- but there are many that are quite fine at this level. I must admit I am in “love” with the Piano studies/Etudes books in the Celebration Perspectives Series. Generally they have done a fantastic job in selecting graded repertoire for this exam system. Continue to practice your scales, etc, and Hanon. There are many sheet music books to help you improve your piano playing technique. These are the ones that I find “fool-proof” and have stood the test of time. 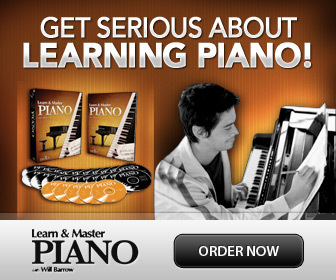 They give great results together with a beginning piano method book or two. By working your way through these technique books, you have mastered the beginner levels of piano playing, and have reached an early intermediate level. You can continue to work with the Celebration Etudes series as it is graded anthologies with many different composers of very high quality. Together with Hanon's exercises and a good scale book you are set for quite a while! Check out Chico's Amazing Piano Playing Technique! Hanon “The Virtuoso Pianist”. Especially exercises 1-10, 11-20, 21-30. Celebration series: Perspectives Piano Studies/ Etudes from Grade 1 and on. A great resource is also Ingrid Jacobson Clarfield’s: Burgmuller, Czerny & Hanon: 32 Piano Studies for Technique and Musicality The three BIG names for piano exercises! It's like having three books in one, but organized in a logical order. Start with book 1 which begins at an early intermediate level.